of words into a mathematical problem. created the Key Word Race Party Game, that I thought I would share. player or team, make multiple sets. designate team one, team two and so forth. 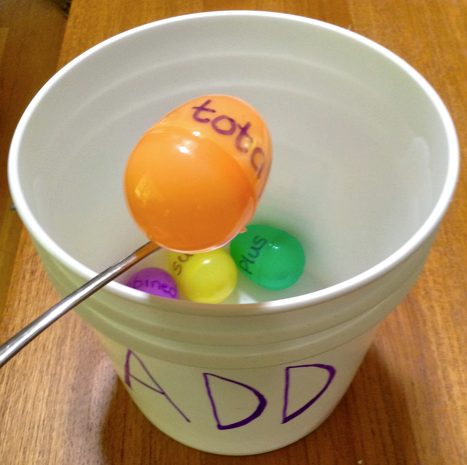 This will also help sort the eggs for the next play. has sorted all the eggs, they must raise their hands to win the game. this game with a single student. can also play this game outside. games!! I would love to hear you thoughts. I love this idea! I'll have to remember this for the upcoming school year.